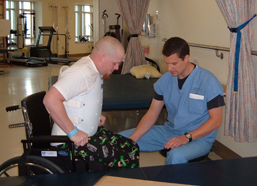 Finding housing that is both accessible and affordable is a challenge many people with SCI encounter soon after injury. Upon discharge from rehab—which may be only a few weeks after sustaining a life-altering injury—they must go somewhere, but the homes they were living in are rarely accessible to them without some modifications. Those who were renting at the time of their injury will most likely need to find a new situation since rental units usually cannot be renovated. Accessible and Affordable Housing: Is it out there? Article from the Winter 2006 issue of SCI Update newsletter. 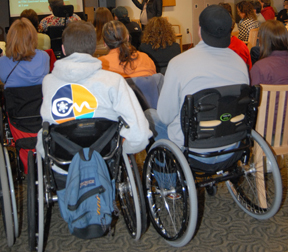 The Independent Living Center for King County, Washington State, provides information and referral, independent living skills training, peer support, advocacy, and transition services to individuals with disabilities. NAAC maintains the only national database of apartments with features for people with disabilities, listing more than 60,000 units in 47 states. NAAC is sponsored by the National Apartment Association and Clearinghouse services are free to all. Contact: 800-421-1221; www.accessibleapartments.org; clearinghouse@naahq.org. A factsheet by AGIS (Assist Guide Information Service) describing laws relating to renting a house or apartment if you have a disability. Article and photos describing a home remodel that allowed the home owner—who has tetraplegia (quadriplegia) due to a spinal cord injury—to live independently. This story first appeared in the Spring 2012 issue of our SCI Update newsletter. SCI Forum presentation from June 2007. Watch the video or view the slide show from the presentation here: http://sci.washington.edu/info/forums/reports/home_mod_07.asp. A non-profit home repair and rehabilitation program that helps low-income seniors, persons with disabilities and others to remodel or repair their homes, with local affiliates around the country. National office: 800-473-4229 (phone); info@rebuildingtogether.org (email); http://www.rebuildingtogether.org/ (Web site). 811 Harrison St, Seattle, WA 98109; Phone: 206-682-1231; email: info@rtseattle.org. Specializes in accessible home modification and the installation of specialty equipment in the Puget Sound area. Phone: 800-765-1969/206-762-1969; email: medsurgsys@aol.com; Web site: http://www.adaptiveinstallations.com. 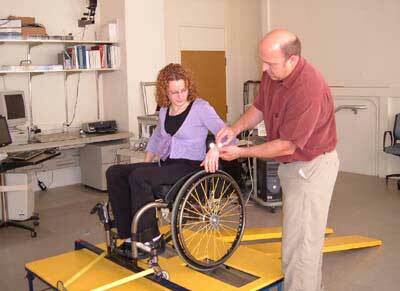 A guideline of the Paralyzed Veterans of America $22.95. Preview and order online at http://www.pva.org/site/PageServer?pagename=access_homedes or call 888-860-7244. Provides financial assistance for low and moderate income tenants to make accessibility modifications to their rental unit. Phone: 206-296-7640. Builds free wheelchair ramps at their annual spring Rampathons for qualifying low-income disabled and elderly homeowners. For information and applications, contact:Master Builders Care Foundation, 335 116th SE, Bellevue, WA 98004; 425-451-7920; mbcare@mbaks.com. A nonprofit housing organization the builds affordable houses in partnership with persons who lack adequate shelter. Find the affiliate nearest you by visiting http://www.habitat.org/. Assists children and adults with disabilities and their families with access, mobility, assistive technology and housing questions and recommendations, through a nationwide network of more than 450 service sites. The American Association of Retired Persons (AARP) resource for building or modifying a home using the principals of universal design for accessibility. Read online at http://www.aarp.org/universalhome. Information about universal design and green building principals, safety, and healthy home practices to benefit the widest possible range of people in the widest range of situations, accommodating people of all sizes, ages, and abilities. Visit their Web site at http://www.udll.com/. After an SCI, many people need to consider low income, accessible public housing. This is often a good alternative for individuals whose financial situations have changed drastically since their injury. (206-615-3300; www.seattlehousing.org/Housing/programs.html) accepts applications for accessible housing, although the wait for an accessible unit can be as long as two years. (206-574-1100; www.kcha.org/lookingforhousing/lookingforhousing.aspx) provides an array of affordable housing options as well. www.hud.gov/local/index.cfm?state=wa ; 206-220-5101; 877-741-3281) provides affordable housing options throughout the state.